This stunning and historic Sheffield City Centre venue must contain one of the finest rooms anywhere in the city and probably much further away too. 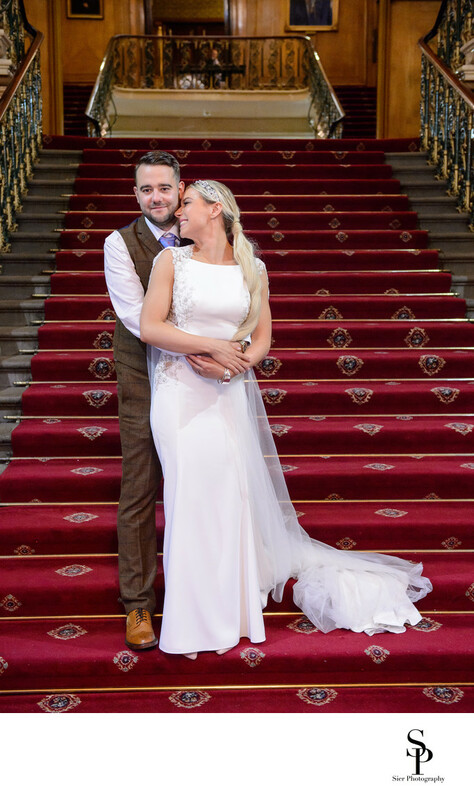 This image photograph was taken on the equally magnificent stairs that lead from the main entrance to the first floor function rooms and the main hall. 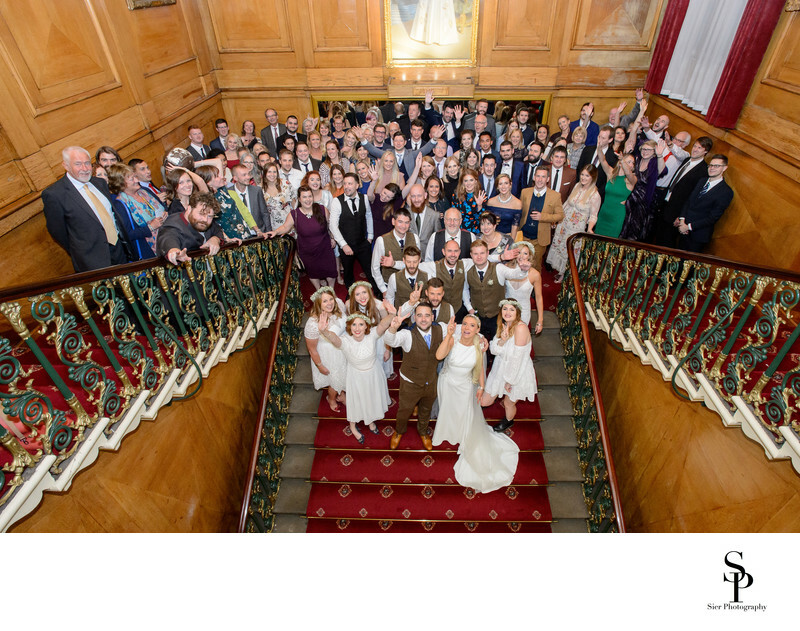 The stairs also make a wonderful location for a large group photograph. The function rooms are large and beautiful, built in the times when quality and appearance were more important than cost and speed of build, when we had pride in our nation and built for the future. We are really lucky in Sheffield to have so many fantastic wedding venues. The most spectacular of the rooms in the Cutlers Hall is the main banqueting hall with its huge ceiling and colossal floor area which is apparently 100 feet by 50 feet, it is difficult to think of many rooms in the city larger than this and there are probably none more spectacular. 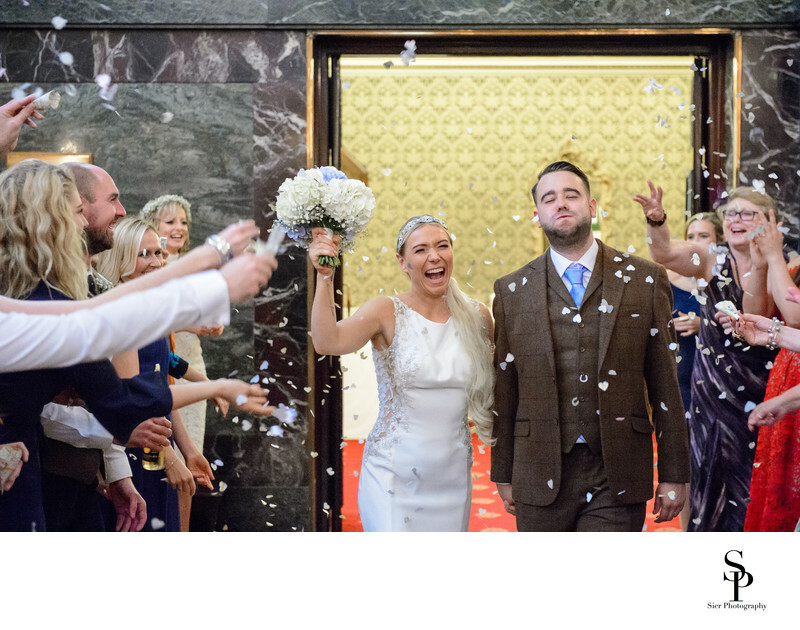 To see more of this wedding you can view the full wedding album by clicking the image below. This was the first wedding we have photographed here though we have been to several functions and wedding fayres here before. There cannot be many places in the UK in which to get married that are both this large and this impressive, well worth a look if you think you might want to get married somewhere a little different. 1/100; f/4.0; ISO 2500; 50.0 mm.